Part 1: What Does Car Salesman Do? 1 What Affects a Car Salesman’s Salary? 2 How Is the Prospects of Job? 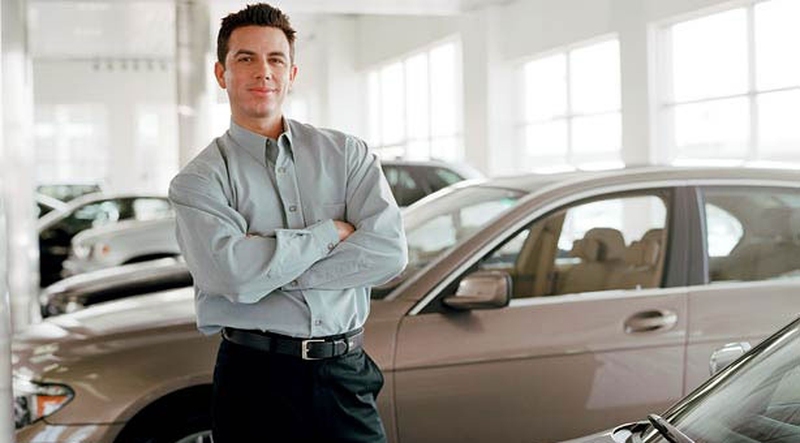 A car salesman plays a crucial role in the running of a dealership, in which he or she will be the individual responsible for closing deals with buyers. They are essentially the primary and the most direct link between the brand or business and the customer. Their job is to convey the car’s most beneficial qualities, answer all questions the buyer may have, arrange test drives, discuss finance options and generally make sales happen. As such, they need to be extremely knowledgeable, hardworking and determined – especially as the car sales themselves may generate healthy commission for the salesperson. The exact roles of a car salesman vary from dealer to dealer and brand to brand, though in all cases share at least some similarities. Some will be in charge of selling used cars, some specialize in new cars only and then there are those that sell both. And while the media may portray car salespeople as pushy, aggressive and generally quite corny individuals you might not take seriously, real life car sellers are in fact consummate professionals. It’s their job to match the buyer up with their ideal car in accordance with both their needs and their budget, in order to facilitate a mutually beneficial outcome. Trying out your luck as a car salesman is easy as no specific qualifications are needed, but making a life-long career in the industry is extremely challenging. Competition between dealers is huge and unless you can make your own dealer, brad and cars stand out from the crowd, you won’t last long at all. You might not need a high level of education to get into the industry, but at the same time certain character traits are mandatory. You need to be extremely confident, you must have courage in your convictions, you need to know how to build a rapport with strangers in an instant and you must be always friendly and approachable no matter what. You also need to have a strong sense of logic and be a good problem solver, as you are in essence solving the buyer’s problems by matching them with their ideal car. Working as a car salesman, the amount of money you make each year will be determined largely by your job performance. In some cases, sellers are not paid any kind of standard wage or salary at all, but instead work only for commission, though this is comparatively rare. The simple fact of the matter is that because cars are sold with negotiable prices, it’s up to the seller to bring the dealership as much money as possible. The higher the price the buyer agrees to, the more commission goes the way of the salesman. This can make it an interesting balancing act as while it may be tempting to sell a certain model for say $35,000, it may in fact be a better financial move to sell it for $32,000 and sell more units. On the whole, therefore it is very difficult to put an exact figure to the annual salaries of car salesmen, though chances are a newcomer will start out earning in the region of $15,000 to $20,000 while an experienced and successful seller could easily top $80,000. What Affects a Car Salesman’s Salary? As mentioned above, very few car salespeople are paid a fixed salary that never changes. It all comes down to the contract negotiated between the dealership and the employee, which could mean a salary is paid with no commission, no salary is paid but high commission is offered or perhaps both a salary and commission are paid out. Which one represents the better option all depends on a variety of factors, such as how many sales the dealership makes in the average month and whether commission paid is 1%, 5% or 0.05%. How Is the Prospects of Job? Many car salesman or job hunters may concern about the prospect of the job. The car salesman is still needed just as the world need cars. There are so many industries that are expected to waver over the coming years in terms of job security and career opportunities – car sales job opportunities, on the other hand, are expected to accelerate a full 17% or more. What’s more, car sales represent a national career and pretty much work the same way no matter where you are, you gain the kind of skills that go with you wherever you choose to put them to use.